I don’t know about you, but I like to be made to feel special. To feel unique. To feel cherished. To feel like someone has spent the time really getting to know me. No, I’m not talking about what I expect from Scott on Valentine’s Day (he makes me feel special year-round). I’m talking about what I expect from people who want to partner with us at The Cynical Sailor. From time to time, I get emails from companies wanting me to flog their products and services on our blog and Facebook page. Usually they want me to do it for free. Yes, free. My time and effort is apparently worth…nothing. So much for feeling special. What’s even more annoying is when they email form letters. It’s so obvious that they replace “Dear So-and-So” with your name and replace “Blog Name” with the name of your site. You just know that they’ve sent the exact same email to 671 other blogs that day. So much for feeling unique. Usually, I politely reply to these inquiries, despite not being made to feel unique and special. I let them know that we don’t do sponsored posts, product reviews etc. I might even suggest other bloggers who could be a better fit for their product or service. I rarely hear back with a thank you. I’d be happy with even a form thank you letter. But, alas, I hear nothing back. So much for feeling cherished. Occasionally, I get an email that does make me feel special, unique and cherished. The company will ask me what my rates are for sponsored posts and partnerships (they understand my time and effort is worth something), they mention a particular post I’ve written that they enjoyed (they’ve taken the time to actually read our blog, rather than just plug in our blog name into their form letter) and they say thank you when I reply and decline their offer and explain that we don’t monetize our blog. Obviously, their mothers raised them right. Some of you may be wondering what I mean by monetizing a blog. Simply put, it means making money (or trying to) from blogging and other forms of social media. There are different ways to go about trying to earn some dosh – here’s just a few to give you an idea. Basically, fellow bloggers pay you to promote their blog, often through a banner on your sidebar, post(s) about them and their blog and/or guest posts (as in someone pays you to write a post for your blog). In effect, they’re “sponsoring” your blog and in return you advertise theirs. I see this a lot with lifestyle bloggers, for example this one and this one. The Bloggess also uses this approach. (By the way, I love her blog – weird and quirky, just my cup of tea.) I haven’t really seen sponsored ads used too much in sailing and cruising blogs, with the exception of The Boat Galley (a great go-to site for tips and tricks on boat life). Rates vary quite a bit depending upon the reach and impact of your blog – for example, how many page views do you get a day, what’s your popularity ranking, what’s your target audience demographics etc. If you’re thinking about offering sponsored advertisement opportunities, then you should make sure you know what your stats are and be prepared to make them available on your site or email them upon request. After all, why would folks want to spend their hard earned money with you if they’re not going to get the right kind of bang for their buck? To give you an idea of monthly rates, The Bloggess charges between $100-$750 (her blog is huge), advertising on The Boat Galley starts at $11 and some of the lifestyle bloggers I’ve seen charge rates between $8-$200 (check out Passionfruit, a popular advertising website, to see what kind of rates are out there). While many people blog with the intention of freely sharing their content with their target audience (friends, families and others who share the same interests) and see it more as a “diary” of their daily life and adventures, other bloggers work hard to create content that they feel people might be interested in paying for, like you would with a book, magazine or DVD. One example of this is The Minimalist Sailor where you can access their video blog and photo gallery for a monthly fee. Crowdfunding is an increasingly popular way to offset the time and effort put into blogging and other forms of social media, not to mention the costs associated with hosting a website etc. Patreon is a well-known way of going about this. You establish a goal, set a financial target associated with that goal and then ask for pledges from their patrons to achieve your goal. In exchange, you offer rewards to your patrons. If you want to see an example of how this works, check out Bumfuzzle’s Patreon page – they want to buy a sailboat in 2018 and need $2,288 a month in pledges to achieve that. In exchange, they offer rewards ranging from personalized postcards to mentoring sessions on financial trading. Everyone can still access Bumfuzzle’s content, but those who want to support their efforts financially can do so through Patreon. Reviewing products and services is a pretty straightforward way to get some cool stuff and experiences in exchange for a review. The key thing is that your review needs to be honest and the product and service needs to fit with you and your blog in an authentic way. Otherwise, people are going to stop believing you and trusting in your judgment. I see way too many blogs gushing over the latest snack food and how they used it to make a casserole for dinner which totally transformed their lives and made their marriages stronger. Yeah, totally believable. But, I get it. Free snacks sound awesome. Okay, it’s not all like that. Most people are selective about what they review. And they’re upfront with the companies they’re partnering with that their review will be totally honest and upfront. Want to see some good examples? Check out MJ Sailing’s post on styling while sailing and Sail Far Live Free’s gear reviews. Quite a few of the emails we get are from folks wanting us to write sponsored posts. They want us to mention their product or service on our blog or Facebook page without actually using the product or service. My favorite is when they ask us to promote it on Twitter (we don't have a Twitter account). Actually, they really aren’t sponsored posts as much as they’re un-sponsored posts. They run along the lines of, “Hey, we just released this awesome new product that your followers would be interested in. Here’s a press release so that you can share it on your blog. And don't expect a dime from us. You should just feel honored that you're among the 671 blogs we contacted about this.” Often, they’re products and services that I wouldn’t be interested in, nor do I think anyone who reads this blog would be. Clearly, they haven’t done their homework before they hit the send button on their form letter email. To be fair, I have seen some decent sponsored post opportunities which seem to take a genuine partnership approach. One example is from last year when an insurance company asked bloggers to write about their favorite cruising destinations and link to their survey on sailing superstitions. There were a lot of fun blog posts on the subject, the insurance company got some PR and referral traffic back and, from what I hear, they paid fairly and promptly. Astrolabe Sailing’s post is an example of the types of posts people wrote. Having a donate button on your site is one of the simplest ways to monetize your blog. You straight out ask people to chip in some money via PayPal in appreciation for your content. It isn’t usually a large amount – enough to maybe buy a cold beer or a nice dinner out. You can see an example of this on Sailing with Terrapin’s site – look for the picture of Homer Simpson on the sidebar. Another simple and (generally) unobtrusive way to monetize your blog is through Amazon affiliate links. Say there’s a great product that you talk about in a blog post – why not make a few pennies on it by linking back to the item on Amazon. If your readers end up buying that product (or something else on Amazon) within a certain timeframe, then you make a small commission and it doesn’t cost your readers anything extra. When you mention the item in your blog post, you just link back to Amazon. Another way to do this is by highlighting items available on Amazon which aren’t necessarily related to your blog post topic, but which your readers might be interested in. Travels with Kevin and Ruth is a great example of this. Those are just some examples of how people make money from blogging. There are many other ways to go about it. So, Why Don’t We Monetize Our Blog? When we started this blog a few years ago, Scott and I talked about whether we wanted to monetize it. It was a pretty short conversation. Neither of us were interested in trying to make money from blogging for a few reasons. To do it properly, monetizing a blog takes time and effort. You’ve got to work to build up your followers, constantly stay on top of your stats, tailor your content to what you think your target audience wants to read (rather than what you want to write about), write endless emails to potential sponsors, develop your social media presence etc. Ugh. I’d rather read books and eat chocolate. Besides, unless you have a pretty decent following, the return on investment isn’t that great. 2 – We don’t want to be Prom Queen. On the flipside, there are some great blogs out there which aren't trying to be Prom Queen, they're true to themselves so to speak, and they make monetizing their blog work for them. I think people can tell that they're being authentic and are therefore totally supportive of the fact that they want to try to make a few bucks from blogging (or at least recoup some of their costs associated with their website, making videos etc.). Folks enjoy their content and the hard work they put into blogging and want to help out in return. 3 – We don’t need the money. Sure, we’d like the money, but we don’t need the money. We’re funding our adventures through savings, with occasional work gigs along the way. To be honest, we’d feel kind of weird asking for money from strangers, when we have enough to cover our expenses in the bank. So we don’t. Reading about all that FTC disclaimer stuff makes me want to have a disclaimer of my own. And here it is...who knows, maybe someday we’ll change our mind and try to make some bucks off the blog. Maybe not, maybe yes, maybe so, who knows. If someone sent me a t-shirt or some leggings with cute kittens on them, I might be tempted to review them in exchange for the free Crazy Cat Lady clothes. Basically, I’m a sucker for anything having to do with cats. Chocolate is another thing I’d sell my bloggy soul to the devil for. Hey, you Whittaker’s, I'm talking to you – send me a large box of Dark Ghana chocolate bars from New Zealand and I’ll be happy to write a review for you. But, now over to you. What are your thought on monetizing blogs? Do you like it? Do you hate it? Do you make money off your blog? It can be a controversial subject - let's hear what you have to think. 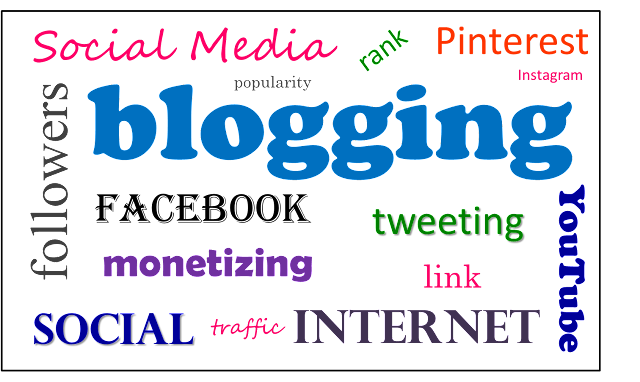 You can find links to other posts on blogging tips & tricks on here. I like your non-profit approach. I decided to not capitalize my blog too. No one ever reads it and I've not posted anything for years. The last thing I posted was pictures of endangered black abalone to share with a biologist on "the black abalone blog". I did notice that when I checked out your blog. Do you have any plans to start posting on it again? I'm not averse to monetizing blogs because, yes, they do take alot of time. But we haven't done so because of your reason number 1: laziness. And also I just don't want to work that hard. Is that the same thing? Maybe. Like you, I'm not saying it won't happen in the future. I mean, if someone wanted us to review a cool new product in exchange for giving us that product and it was something we could use, then maybe we'd do that. No, we probably WOULD do that. But to get to that level I'd have to start writing all the time and right now I'm too busy being worried about what will happen with our house. I imagine that house is taking a lot of energy at the time. Sounds like your priorities are definitely in the right order just now. We're lazy... Bwa-ha-ha-ha! Yes, that's it. I'm lazy too. *wipes tear away* Oh my. $150 is nothing to sneeze about - that would buy a lot of Whittakers! I am lazy and work is a nasty four letter word. I don't want to do anything that's very difficult. We can always use the money, but the work and laziness always gets in my way. I have a couple of blogger Adsense & Amazon affiliate links on my blog (not that I'm making anything off of them). I was never in it to get rich, but i have been contemplating removing it altogether. While I'm not opposed to making money off my online journal of our life afloat. I'd much rather stick to embracing the laid back boat lifestyle instead of feeling like I need to punch the clock and stick to a schedule. Thanks for flagging up Adsense - that's another popular way to monetize a blog. From what I understand it's pretty simple to set up and use too. Lazy. That seems to be a general commonality I'm noting in this boating life. :) Which is totally not true. I think we just choose where to funnel our energies: clearing random, mystery hair/fluff globs out of drains, spending 14 million hours in one day searching for a tiny diamond earring (with tremendous sentimental value) that is SOMEWHERE on on this frigging boat, scraping another mystery slime off of the hull of the boat... But god forbid I take out the trash. Or figure out Adsense. I would love to make money off of our blog. I'm not going to lie. BUT. I would only love to make money if it's doing what I'm currently doing. Another commonality seems to be not selling ourselves for the almighty dollar. If I wanted to do that, I'd roll my little office chair back into my cubicle and get back to Excel spreadsheet hell. We will see how our latest, yet unpublished, foray into video making goes. I'm having fun channeling my inner Excel Guru into learning creative software. If it is fun, and I don't get bored, or lazy... we may just set up/post to a Patreon site. We'll see. Either way, your blog is always a reminder to be true to myself as I continue to post about whatever the heck I feel like posting about. If you do set up a Patreon site, let us know how it goes. I'm curious to find out how it works for folks in terms of setting it up and getting it established. BTW - loved your insights into what "lazy" really means for cruisers - we just funnel our time and energy in different ways. Another great read, Ellen! I don't have an interest in monetizing the blog (started off for the same reasons as you -- keeping our friends and family updated -- but extended it a little to share some first-hand information with people cruising in our area) and was really surprised to read about all the ways it can be done. Cheers! There are lots of ways to monetize a blog out there so there really is something for everyone who wants to try to make a few pennies from blogging.